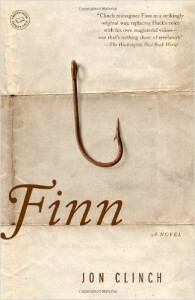 We all love Huck Finn, right? But what about his father? There are a few funny stories about Huck’s encounters with his habitually inebriated old man in the pages of those beloved novels about Huck’s and Tom’s adventures. But that’s about all we know about him. So when I saw that John Clinch had taken the iconic Mark Twain books as a point of departure and extrapolated the story of Huck’s father, well, I thought that should be fun. Big surprise. I’m a huge Mark Twain fan. Some of his views are more than a little dated, but his wit, storytelling and mastery of the language are unequaled. Clinch is a wonderful modern writer whose unflinching look at those “dated views” and how they played out in the dark, scary world that Tom and Huck so happily inhabit, made for one of the most terrifying and riveting books I’ve ever read. This is a dark, dark, dark book. My stomach dropped away more than once. 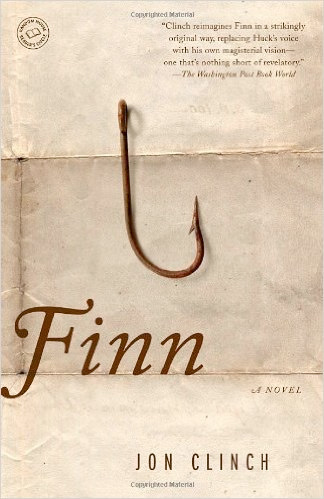 But if Huck’s father was who Mark Twain tells us he was and he lived in the world we know that he lived, then this is the terrible true story of Finn. I loved it.